Everyone has their own way of working, but there are always some ways which are better, safer and faster than others. If you’d like to minimise risk of damage and expensive repair bills, or fancy working in a more methodological manner, cast your eye over what we’ve come up with – eight easy ways to improve your photography on location. Loading a card into your camera only to find it’s already full with images you haven’t downloaded can be extremely frustrating. To avoid having to delete images one-by-one to create space for new images, you’ll want to get into the habit of downloading your images and backing them up at your first opportunity so you can them format the card in the camera and start afresh each time you head out. By getting into this routine you’ll always have plenty of storage space, but we’d recommend you buy a spare and have it with you should the other card fill up quickly or get damaged. The iPhone has almost become the Swiss army knife of the 21st century, with hundreds of photo-related apps available to process, edit and enhance the images you take. The ability to take photos, make phone calls and email from a smartphone is so convenient, a lot of us take it for granted. A really useful purpose of an iPhone is to use it as a means of remembering great photo locations, so next time you come across a great location but don’t have your camera to hand, drop a pin on the map, label it and you’ll know exactly where to go next time you’re looking for inspiration. It’s a given that when you’re out shooting over long periods your camera’s battery life is going to run down. When it depletes completely you need to be prepared if you’d like to continue shooting, and this is where a spare battery comes into play. The advantage of having a spare means you’ll never have to curtail your shooting, and while you continue to shoot you may find an opportunity to charge the exhausted one back up again. Manufacturers’ own-brand batteries can be expensive, so we’d suggest you consider third-party alternatives such as those produced by Hahnel. If you own an interchangeable lens camera it’s inevitable you’ll get dirt or dust on your sensor at some point. Though there are measures you can take to avoid this happening, such as changing lenses inside a plastic bag outdoors, it’s important to know how to clean the sensor yourself if you’d like to prevent many hours retouching the dust spots off your images in your software. Sending the camera away to be cleaned is one option but can also be expensive. A more cost-effective way is to tackle it yourself using the right equipment. A compressed air vacuum is great for lifting dust from the surface of the sensor, while a sensor swab (available for full frame and APS-C sized sensors) can be used to remove the more stubborn dirt afterwards. A good way to protect your valuable lenses from potential damage is to fit protective filters to the front. A UV filter is designed to block out ultraviolet rays passing through the lens to the sensor, which can potentially result in a bluish UV glare. The real advantage of fitting a UV filter is to protect the front elements of the lens, which if it were knocked could result in an extremely expensive repair. The way to look at it is that it’s far cheaper to replace a UV filter than a lens if damage occurs. While there are budget UV filters available, we’d always recommend paying the extra if you own premium quality lenses, such as filters by Hoya, Tiffen and B+W. To speed up your workflow you’ll want to take advantage of all your camera’s settings – some of which aren’t always obvious and are hidden in the main menu. Many DSLRs and system cameras give you the option to rate your images, which is usually achieved through the menu or via a dedicated rating button. The advantage of rating your best shots and your worst makes it easier to pick out those you’d like to keep and those you’d like to delete – freeing up space that might have otherwise been taken up by images you’d initially rejected. The rating you choose is usually applied to the file’s EXIF data too. Another setting you’ll want to use on your camera is the Protect function. On most cameras this is within the playback menu and is used to safeguard pictures from accidental erasure by assigning them with a protected status. Apps have become synonymous with smartphones and tablets, with a huge selection to choose from whether you’re running an iOS or Android device. 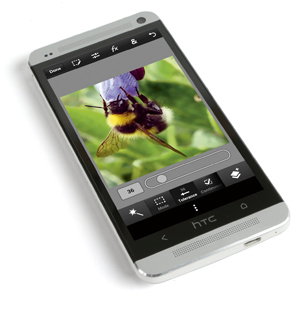 Photography apps, many of which are free, can be downloaded to add effects, enhance colour and manipulate the images you take on your mobile devices. Some of the most popular include Instagram, Camera+ and PS Touch (above), however there are other less well known apps such as VSCOcam that can be used to apply beautiful film emulsions to your images before they’re exported via social media. Manufacturer branded apps are becoming ever more widespread too and these are designed to tie-in with Wi-fi connectivity built into the camera to provide a wireless way of triggering the shutter, controlling the camera settings and transferring images straight to the smart device. 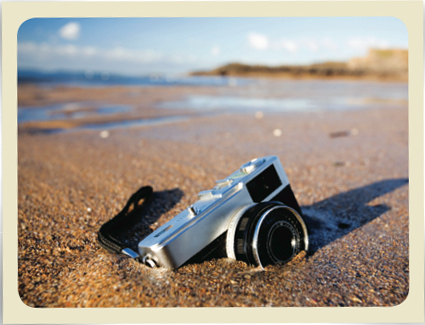 When was the last time you stopped to consider how much your photography equipment is worth? If you’ve built up a collection of camera equipment over the years the likelihood is it’s worth several hundreds of pounds and if it were to suddenly get stolen or get damaged you’d kick yourself for not having insurance or taking out the incorrect policy. In regard to having your kit stolen from your house, you’ll want to check whether your photographic equipment is already covered by your home contents policy. Some policies require you to name individual items if they’re over a certain price (such as expensive lenses) and you must remember to keep the policy up-to-date with all the new purchases you make. If you want to take out a camera-specific insurance policy you’ll generally find that brokers offer two types of policy: a standard level of cover for enthusiasts who have built up a valuable collection of cameras and equipment but shoot for fun, and one that’s primarily designed for the working pro who use their equipment to make money with. Ultimately both will insure your equipment against theft or damage, although, as you might expect, the insured value will generally be higher for those taking out professional-grade insurance policies that cover you against costs arising out of any legal disputes between you and a client – for example, the loss or destruction of a memory card containing all the images you take. And we would of course be remiss in not mentioning our own isurance cover, which is available right here.